As has become customary for winners of the Ingmar Bergman Lifetime Achievement Award at the BAM Awards, I have begun a Bela Tarr retrospective. The introduction and initial short film post can be found here and here. So it’s been a little longer than I wanted it to be before I returned to this series and gave my first closer look at a title but here it is. With Werckmeister Harmonies not only do you have Tarr fully embracing his new aesthetic but you also have him creating the trajectory of his remaining films. 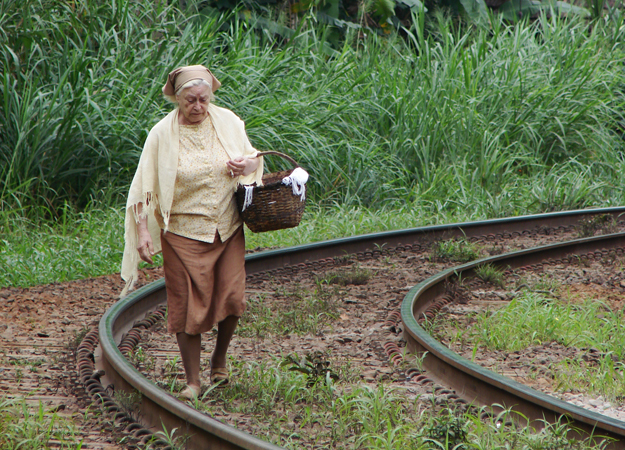 What can be found here is the opening salvo in the ongoing dialogue of his cinema. Some of the themes both visual and otherwise start here and you can feel them echoed in later works. For example, the film begins with a shot of a piece of wood being added to the fire on an oven. Now, as it turns out here this is just the opening frame of a lengthy tracking shot, but the motif of wood-burning ovens, flames through the grate and things of the like reappear, most notably in the Turin Horse. The opening shot is an intricate and quite a famous one. It is perhaps the most we will hear out of our protagonist. However, interestingly this protagonist is one whom for the most part is just a vessel with through which we can be shown the story, such that it is. There are two significant and long speeches in the film and much like the only dialogue of consequence in The Turin Horse, the temptation to disregard it rather than trying to ferret out some semblance of meaning is compelling but erroneous. The first such extended piece of dialogue is right there in this opening tracking shot wherein Janos describes to bar full of inebriates the workings of the solar system. I read of a God Complex in one essay but the way Janos walks around observing the whale, being transfixed by it and assigning it no special significance, save for the wondrous work of God that it is, doesn’t quite mesh. I think the intent is likely to define Janos here for we will see little else throughout that does. He listens and does what he is told most of the time. Whether or not he does that to a fault is debatable, but what this is establishing is that he thinks on a simple matter and sees the wonder of it, much like a child would, and seeks to share his wonder. The barkeep lets him go on only so long before kicking him and everyone else out. The second dialogue passage of significance is when the title the Werckmeister Harmonies is disseminated. It is a rant on musical theory on how the tuning of instruments and the regimentation of notes and octaves created something far more mechanical and less artful and organic than existed prior. On the surface it has nothing to do with anything else, save for the fact that it is this old man’s, Gyuri Eszter’s, obsession. However, it’s not the explanation that matters, but how he feels about it. He likens it to man tinkering with the work of God and here, yet again, we have a theological reference. Now, God here is being invoked in a more existential and cosmic way, rather than in a dogmatic way. It’s seemingly invoked as a larger ideal rather than a denominational claim, much like the the whale and the so-called prince, a dwarfish shadow-figure whose face is not shown threatens the natural order in the minds of many in the town, are. As in much of Tarr’s work when he stayed shooting in black-and-white, moved the camera more and created a course the film is about decay. It’s about how we as human beings are always teetering on the edge of devolution and anarchy. The sound of church bells in this film, much like in Satantango are ascribed and ominous connotation; similarly to that film a broken clock in a church starts working anew rather mysteriously. Much in the way many of the people, except Janos, interpret the whale in their own way. 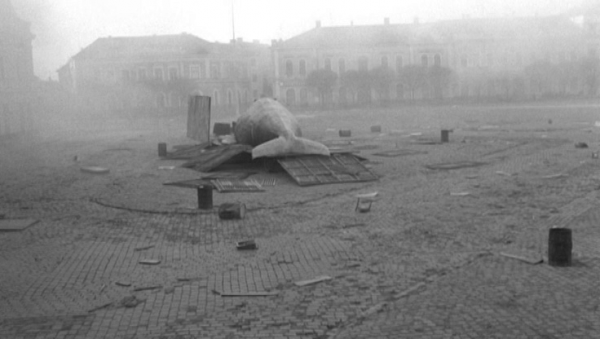 The allegory of the whale is perhaps the most powerful in Tarr’s filmography because for as large and imposing as it is, as much of a spectacle as it is, it can’t do anything. It does not do anything and neither does the feared Prince who evokes passion and creates followers. However, the people believe they can and do and that’s what causes them to react the way they do. 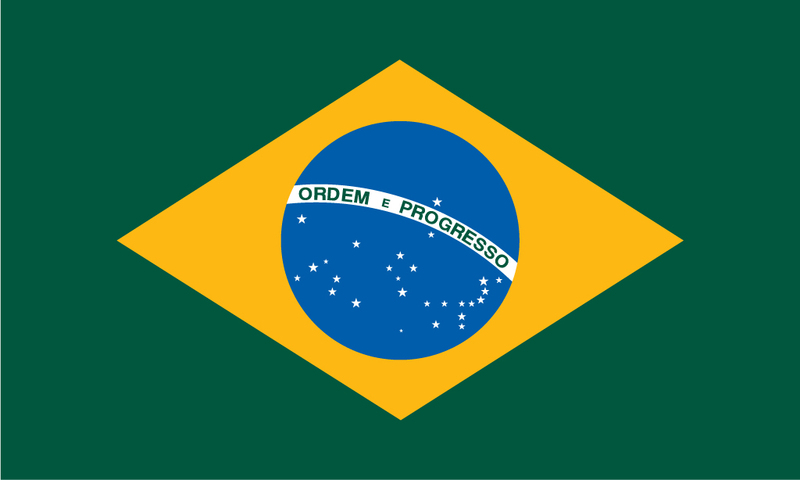 The people want no change, in spite of its constancy, and when something threatens that they lash out. The order the enraged mob seeks to be restoring is an illusion. 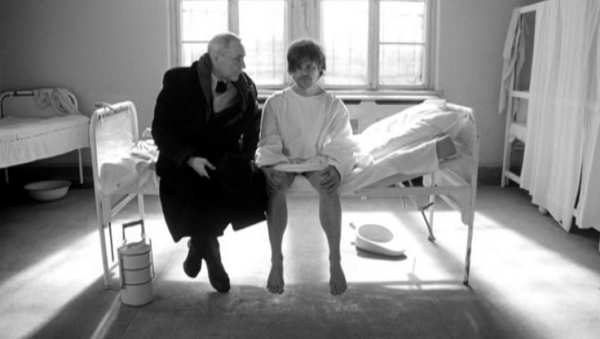 It’s as much an illusion as film is, which could be why Tarr in this instance brought in two German actors, the wide-eyed, childlike Lars Rudolph as Janos and the formerly omnipresent Fassbinder vamp Hannah Schygulla; and had them speak their lines in German and then had them dubbed, and not necessarily in a way that syncs perfectly, because something it always off. Uncle Gyuri Eszter, in his diatribe about the Werckemeister harmonies, states that what the struggle is as follows “the octave versus the note; the natural tune versus the manmade construct; the heavenly versus mundane; human hubris versus divine gifts.” And that’s much of what the struggle in this film is. There are still mysteries to be unraveled. Many can assume, since we did not see him through much of the assault on the hospital, that Janos was not there. However, that long and significant tracking shot ends on him looking terrified after the violence stops upon the site of the frail old man who no one wants to harm. So one can wonder did he just witness it all, unable to stop it; or was he a party to it. Similarly is the account he reads in the church one he found or one he wrote himself. The film leaves them purposely vague. However, I think it correlates more with both his passivity and his folly that he was merely a witness. What is left unsaid the end that he was inactive in the assault and not the author of what he read. When all is said and done he’s the perfect scapegoat. The society back to its so-called sense and must now restore order and the most logical scapegoat is Janos. They, meaning all the citizens, recognize neither God nor Man, so he must leave. The end of the film is uncle Gyuri Eszter going to see the whale. It is left out in the square on display where the madness began passive and immobile as it always has been. It’s a film that’s really not about what happens, but why it happens and that answer is not nearly so nebulous people have willed it to be. 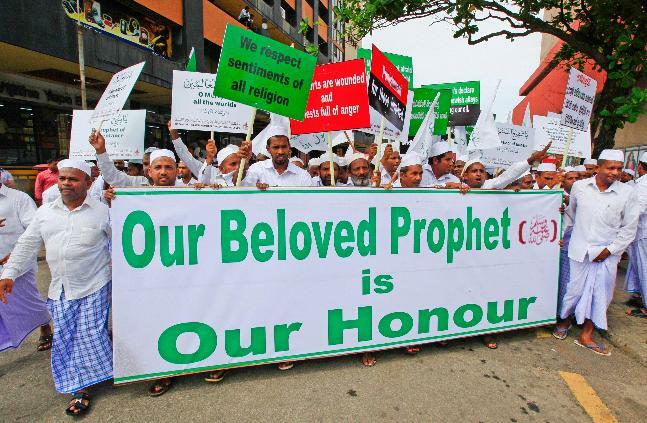 They’ve assigned meanings based on their fears and ignorance and punished the guilty. In almost an eschewing of genre toward the end there is a helicopter, maybe verifying early rumors of military involvement, hovering in the sky behind Janos. It circles him quite bit, but it’s not going to try and barrel him over like the cropduster in North by Nothwest. It’ll just watch him and let him know that he’s targeted. He’s the odd man out because he embraced the whale and got the finger pointed at him and now he must go down the train tracks and out of town. All that remains is delusion and lies, he’s told once and that’s the way it stays. It’s merely an illustration of that statement is what the film is. The people fear, they know nothing. They do not move on. The Prince is gone, the circus is burnt, the whale lies alone; an abandoned blasphemy and things go on unchanged. 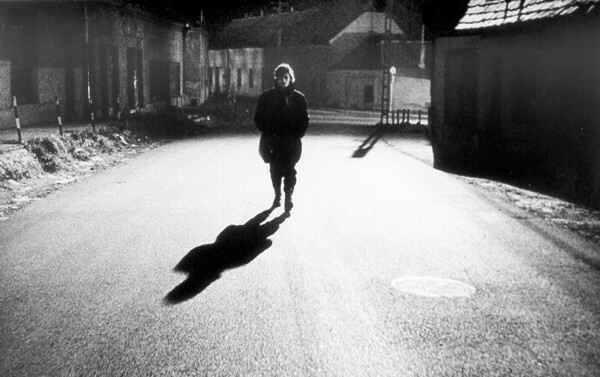 In my recent Short Film Saturday post I talked of a perfect introduction to Bela Tarr. As I will discuss in these and other pieces that form the retrospective on his works, in light of my bestowing upon him the 2012 Lifetime Achievement Award, such assimilation can prove to be rather difficult. My baptism in his works was one by fire. Therefore, it’s always hard to try and think outside of your frame of reference to try and ease someone else in. I at first toyed with the notion of going through his works, which are not as numerous as last year’s winner (Spielberg), chronologically. However, if I were to start at the very beginning, and I likely will head there at some point, we would discuss films that pre-date the metamorphosis of his aesthetic. Bela Tarr is fascinating for myriad reasons, but one of the most apparent is that rarely has a filmography featured so strong a departure in style. Tarr’s early works in the 1970s were in the zeitgeist, which was stark documentarianism. Cinéma vérité was the vogue amidst a wave of talented Hungarian filmmakers. Starting in 1982 he became increasingly more stylized. Tarr was my doorway into the world of Hungarian cinema. It’s a culture I do like to explore periodically and have learned more about since being introduced to it through his eyes. What the chronological approach would seemingly negate is the veritable reason he won this award. It’s not that his earlier works aren’t good, there is in the scripting his essence. In fact, a title like Family Nest translated his insistence that all his films are comedy better than any others. However, his early films featured his voice speaking a seemingly foreign tongue. His real cinematic voice was not truly heard, did not differentiate itself, or make itself unique until his style broke off from its initial sensibility. Some have referred to his hour-and-change rendition of MacBeth for Hungarian television, that was shot in two takes, and Almanac of the Fall as more transitional titles than ones that show the true power of his later style. However, if one watches The Prefab People and then MacBeth back-to-back it’s fairly staggering. You may not even realize it’s the same director. Whereas if you sample the Prologue from Visions of Europe you very soon know Tarr and if you see a famous tracking shot from Satantango, The Turin Horse or Werckmeister Harmonies you know it’s the same person. So next week when I do return and write about a specific film, I will begin after the break and then if I feel so compelled I will backtrack to the beginning and deal with his earlier works before he revolutionized his own style. While in each post I will focus on the specific film at hand when you have a writer/director who insists on challenging an audience, on letting us “use our eyes,” a man who also is disinterested in stories in the traditional sense, you will have running themes. Throughout his career, especially after he broke the mold, his films were creating thematic dialogues. The culmination of which was his masterful dissertation in The Turin Horse. When you have running themes there will be parallels between films to be drawn. I will try to keep those to a minimum and focus on the title at hand. While Tarr got me into chasing down Hungarian cinema, I knew pretty quickly he had a unique voice. However, I soon also found out that his voice could have only been developed in the Hungary’s film culture, on the arthouse end of the spectrum, of course. Like any filmmaker, Tarr’s work as auteurist as it is, is a collaboration. As he worked towards his reportedly last film the pieces started to come into place to solidify his style. 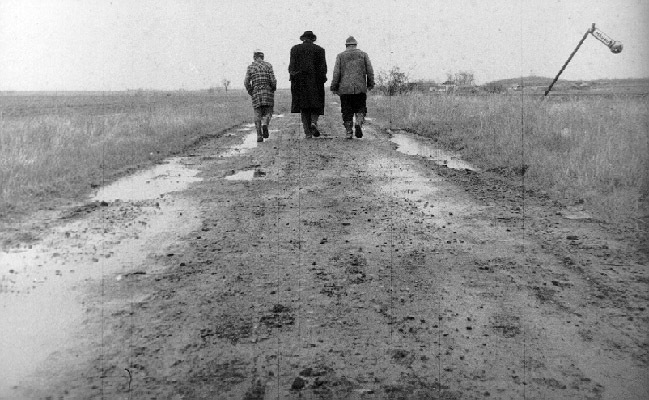 The editing of Agnes Hranitzky since The Outsider in 1981; Fred Kelemen as DP for some of his later projects starting with Journey on the Plain; novelist Laszlo Krasznahorkai had writing or co-writing credit on all of Tarr’s features starting with Damnation in 1988; composer Mihaly Vig has been on board since Almanac of the Fall in 1984. Together these people shared a commonality that helped to accentuate Tarr’s vision and bring it to the world such that it could not only be admired, but challenge the way it was intended to. In the end, I got in my first revisit just in time to start this series on time. However, so as not to under-serve the challenge I’ve set for myself I decided on a true introduction piece to be followed by film-specific pieces. Tarr’s cinema is not one that is suited for “hit-me entertainment,” it insists you prod back and in deference to that fact, and out of respect, I will ruminate on Werckmeister Harmonies‘ mesmerizing and brilliant brutality a bit more. Because I despise stories, as they mislead people into believing that something has happened. In fact, nothing really happens as we flee from one condition to another. Because today there are only states of being – all stories have become obsolete and clichéd, and have resolved themselves. All that remains is time. This is probably the only thing that is still genuine – time itself: the years, days, hours, minutes and seconds. And film time has also ceased to exist, since the film itself has ceased to exist. Luckily there is no authentic form or current fashion. Some kind of massive introversion, a searching of our own souls can help ease the situation. We could die of not being able to make films, or we could die from making films. Because films are our only means of authenticating our lives. Eventually nothing remains of us except our films – strips of celluloid on which our shadows wander in search of truth and humanity until the end of time. I really don’t know why I make films. NOTE: A film like this warrants discussion beyond a typical review. While some relevant plot details are discussed they are not what I’d deem spoilers. Béla Tarr. Perhaps one of the most daunting things to contend with when writing about him or his films is trying to encapsulate him and/or his work for the uninitiated. For to write this review solely as the fan and devotee that I am would not do for all who may come across this article. The read of the film that rang true to me became apparent very quickly. However, the prior question nagged me. So how do I go about it? Carefully and with explication but not what I’d classify as a spoiler. Recently, upon viewing Fata Morgana I tweeted that I was glad it wasn’t my introduction to Herzog and that it likely should’ve been the last film of his I saw. With Tarr there really only is baptism by fire I feel and I’ll attempt, aside from reacting, to give a bit of a primer for his work. My baptism by fire occurred by acquiring and watching his seven-hour epic Satantango while in college and I’ve been hooked ever since. This is as good a place as any to discuss the pace and a few other trademarks of Tarr’s work. Tarr has shot only black and white for the past 30 years. He moves the camera beautifully and intricately at times while using very long takes. I counted shots in this film and came up with a similar number to reports I read: 30. The running time is approximately 146 minutes meaning the average length of a take of about five minutes when Hollywood has us conditioned to expect cuts every five seconds, depending on genre. All the cuts are good, some are wonderful and the pace works for the tale but is worth noting for those who are unfamiliar with his work. Gird your attention span! With regards to this film, as I started to watch it what struck me is that it seemed like his own version of Jeanne Dielman. This allusion to Chantal Akerman is not completely my own Scott Foundas in a Facets symposium on Tarr made the comparison that made me want to see Jeanne Dielman in the first place. However, while he’s talking stylistically in terms of camera movement, mise-en-scene and blocking; here the narrative in many ways resembles in that in Jeanne Dielman in as much as the film most reveals its characters and their story in the slow but steady deterioration of daily routines. The setup is fascinating in two ways: First, the name of the film refers to the incident wherein Nietzsche supposedly lost his mind, he so felt for a horse being beaten by his owner that he broke down in tears, intervened and embraced the horse and was never the same. The story then is really about the owner of said horse and his daughter, however, I’d caution you not to forget about the horse and the title and watch him and his arc and the relationship the family has with him. Second, in a structural consideration the inciting incident occurs in a voice over wherein a detached, unidentified narrator tells us what happened and that propelled an unseen Nietzsche into madness and affected the horse and the family in the long run. The film is above all indirect, even when seemingly being direct, which is part of its brilliance. The film is about the inevitability of death but it’s not spoken about in certain terms. The bare minimum these people need to do to survive starts to deteriorate as does their ability and willingness to live, mostly due to said uncommented upon inevitability. Perhaps what works best is that it really creeps up on you. These routines play out repeatedly, shot and cut a little differently each time such that the slight changes at the start might not be picked up but then you start to see them. With regards to moments that are direct there are a few ways to interpret them. Perhaps the pivotal scene where there can be some debate is one wherein their neighbor comes over because he’s run out of Palinka (Hungarian fruit brandy). It’s human nature to want to hang your hat on something when watching a story that’s not traditional, therefore when watching a father and daughter just doing what they do in a desolate countryside in the middle of an unnatural windstorm you listen to the neighbor’s wild theory. Ohlsdorfer, the father, dismisses it as bull and some reviews as a red herring, I feel the truth lies somewhere in the middle. You don’t have to know Tarr’s cinema to start to sense that there’s a metaphysical nature being applied to a mundane setting, a sort of allegory free of dogmatic restraints. The neighbor’s theory on what’s wrong with the world and life in general may be only his mad formulation but his view, like anyone else, is all he has and everyone’s seeking an answer, we may change it, we may not have one but anyone’s guess is as valid as the next to questions like “What’s the point of all this? What’s going on? Why am I here?” The neighbor’s theory may be vague and labyrinthine but part of what tips it towards truth for me is that he made it a specific revelation to each individual and not an externalized event. I know I’ve have been aloof in the theory’s description because I think it’s open to individual interpretation. My inference that it’s closer to fact or fiction falls in line with my final interpretation, which deals directly with how the film ends, which I will not reveal. Similarly oblique is the passage read from a book left as a gift by a band of Gypsies passing through for some water. However, in that it speaks of defiling of the Holy Land and damnation, in short inevitability, so it works. It connects to a theme rather than offering and epiphany, yet I did have one. Only as I was just walking out of the theatre after the very short closing credits did I realize the last domino that needed to fall for me and it did and it made the whole thing that much more amazing. The film keeps its cast of characters small and the location virtually unchanging. It’s probably too claustrophobic to be called a chamber drama. That sense heightened by the sound editing and mixing which plays the persistent sound of the wind at just the right level to unnerve you and will then drop entirely to bring in Mihály Vig’s dichotomic score, half-mellifluous and half-discordant. Another thing that bears mentioning that there’s next to no dialogue. Yes, there is the neighbor’s extended monologue which gets a few replies, curses thrown at the gypsies and occasional exchanges between father and daughter but no scene I would call a conversation scene and it’s all the better for it. The lack of the spoken word invites you to participate in the film more freely, draw your own conclusions. The actors János Derzsi, Erika Bók and Mihály Kormos are all brilliant. The main tandem do so much physically and with their eyes they scarcely need dialogue to convey their emotions and turmoil. The only other plot point that really bears any discussion is the attempt the Father and Daughter make to leave their house. You are not told or shown why they don’t make it to some safer locale. You are left to speculate on it. I drew my own conclusion, you may draw a different one. It’s just one of the other great touches this film has. Again it’s something that fits in my reading for the story, in a film about the inevitability of death what escape can there be, really? It’s a bit sad to have to say that not all directors are what you can call visionaries but Tarr is definitely one. What you see on display in The Turin Horse is the mark of an artist. There is a style and language all his own, which he has cultivated through the years. I love Hungarian cinema from what I’ve been able to see but at the start of his career you wouldn’t know just by watching one of Tarr’s films it was his, now his style is unmistakable and inimitable, unique in all the world. If this is truly to be his last feature what a glorious way to go. 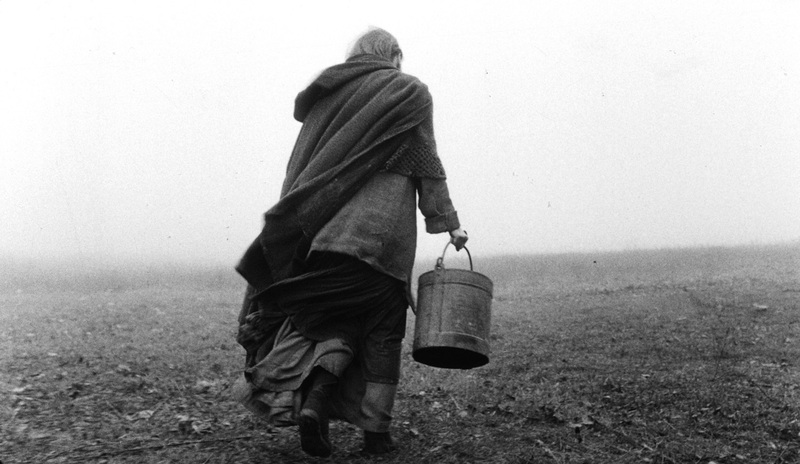 The Turin Horse is a flat-out masterpiece. That’s not a word I use lightly. There are films I consider masterpieces but I did not proclaim them as such upon first seeing them. However, when trying to encapsulate my reaction that’s the first word that came to mind. It truly is, it’s sheer brilliance and believe me when I say that my stating several facts in the course of this piece does not detract from the experience of the film, it’s just a guide. Watching and immersing yourself in it is a lot more valuable and harder to describe than a few instances in the story. If you have decided this is the kind of film you’d like to see (it’s certainly not for everyone) it’s worth seeking out on the big screen.